Install the Datto Linux Agent now (with 3 easy steps)! It’s been 3 years, but it is finally here! Learn how to install the Datto Linux agent in 3 easy steps. 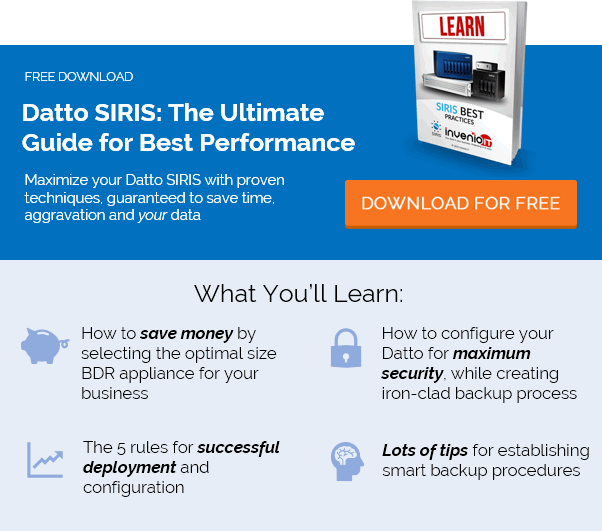 Installing the Datto Linux agent is simple. Just follow the steps below. This article describes the requirements and procedure to install the Datto Linux Agent on the Ubuntu, Fedora, CentOS, and RedHat distributions of Linux on 64-bit hardware. Other file systems may work, but we do not officially support them. TCP Ports 139 (ICMP) and 25567 (Datto Linux Agent Port) must be open between the Datto device and all protected machines. Do you need a little more help to install the Datto Linux agent? If so, contact us today.